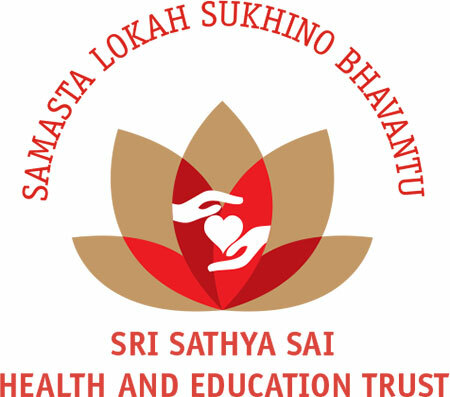 Established in May 1970, the Sri Sathya Sai Health and Education Trust is a Public Charitable Trust, under Section 12 A of the Income Tax Act, 1961. Since inception, it has founded and run nationally renowned Healthcare Institutions across the country providing Totally Free of Cost services to all, irrespective of caste, religion, nationality or financial status. The trust commenced its services with Sri Sathya Sai General Hospital in Whitefield in rural Karnataka, serving over two million outpatients, conducting over twenty thousand surgeries in all general specialties from over thousand villages. Revered Sri Sathya Sai Baba, our Founder President, worked tirelessly to alleviate the suffering of millions the world over. “Love All Serve All” was His Life’s message, and is now our singular Goal and Guide. His Institutions and Work of providing quality education and Healthcare, along with basic drinking water to millions, absolutely free of cost, are enduring testimonies to His Love and Compassion for the needs of Humanity. Today, He is our strength and inspiration, and it is in His Footsteps do we tread to serve society. With over 2,40,000 children born every year with heart disease, a leading cause of Infant Mortality in India, its care remains grossly inadequate and beyond the reach of many. In expression of gratitude to our Founder, the Trust has now embarked on a journey towards addressing the global burden of Congenital Heart Diseases through the Sri Sathya Sai Sanjeevani Centre for Child Heart Care. Our chain of Hospitals treat children Totally Free of Cost restoring dignity to a child’s life and gifting a healthy childhood to them. Sri Sathya Sai Sanjeevani began this journey by establishing the first dedicated Totally Free of Cost Centre for Child Heart Care at Atal Nagar (prev. Naya Raipur), Chhattisgarh in November 2012. 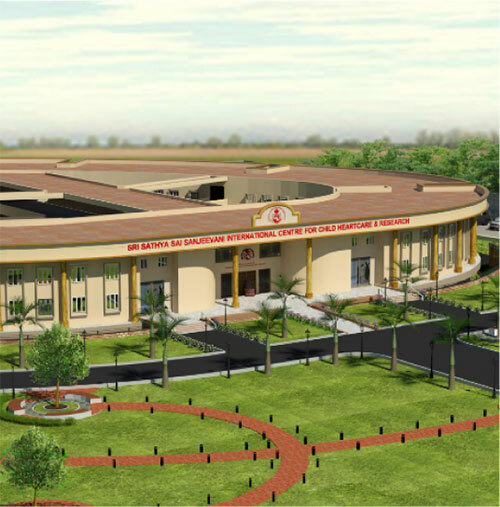 The second centre- Sri Sathya Sai Sanjeevani International Centre for Child Heart Care & Research was inaugurated by Shri Narendra Modi, Prime Minister of India at Baghola, Palwal District, Haryana in November 2016. The upcoming, Sri Sathya Sai Sanjeevani Centre for Child Heart Care & Training in Pediatric Cardiac Skills, Kharghar, Navi Mumbai, will be dedicated to the service of humanity in November 2018. Love All- Serve All is the cardinal message that Sai Sanjeevani wishes to bring. To every being on this planet, Love remains and will be the most sacred value – one that sustains us, enables growth, furthers progress and unifies the nations of the world. Love when manifest in action becomes Service. The need today for the country and the world is this amalgamation of Love & Service. Sri Sathya Sai Sanjeevani Hospitals were commenced to exemplify these values by healing their very source - The Heart. The Hospitals are one of their kind Centres for Child Heart Care providing Totally Free of Cost Care to the needy, thus restoring “DIGNITY OF LIFE”. The child is tomorrow’s citizen and the future of the country. Sri Sathya Sai Sanjeevani Hospital endeavours to heal tender hearts in need. It has been my privilege and my life’s greatest blessing to witness this journey of Sri Sathya Sai Sanjeevani from nothing to grow into an everything, which encompasses all that Swami wanted us to stand for. C Sreenivas, M Com M Phil has been associated with Bhagawan Sri Sathya Sai Baba and His various Service Projects in Healthcare, Education, Drinking Water Supply and Rural Service Initiatives for over 40 years. 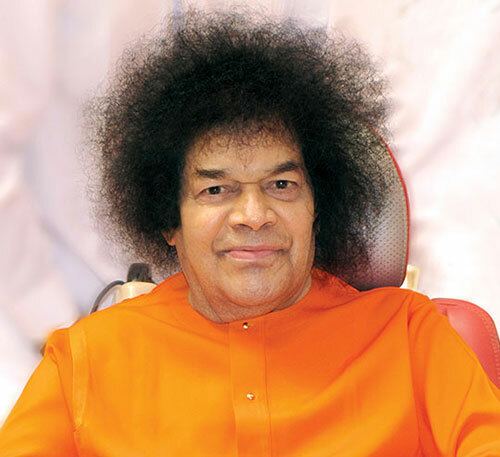 A selfless worker he has built and run several Institutions of Service most notably in recent years the Sri Sathya Sai Sanjeevani Hospitals – Centres for Child Heart Care, wherein all services are provided Totally Free of Cost to all. His Late Mother Dr C Rajeshwari was instrumental in founding the first General Hospital of Sri Sathya Sai Health & Education Trust. He is presently the Chairman of the Trust. Dr Ravi Pillay is a Senior Consultant Orthopaedic Surgeon at Mount Elizabeth Hospital, Singapore. 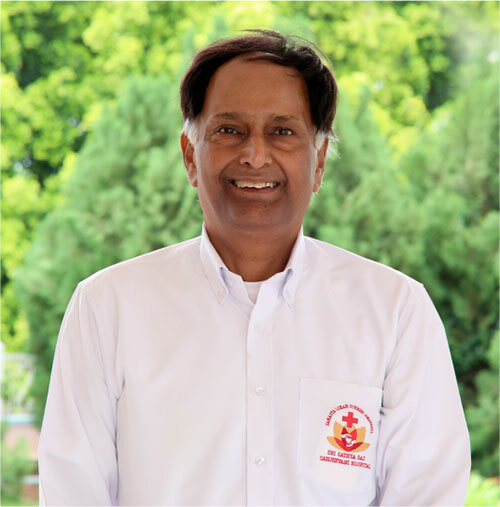 Dr Pillay graduated from the National University of Singapore in 1982 and subsequently trained in Orthopaedic Surgery at the Department of Orthopaedic at the National University of Singapore. He is a Fellow of the Royal College of Surgeons (Edinburgh), holds a Masters In Orthopaedic Surgery (UK) and a Sports Medicine Diploma (Canada). Varadarajan Krishnan is CEO of Singapore based – Vital Solutions Pte Ltd. Vital Solutions operates in the supply chain of Paper and Ferrous Metals in many countries world wide. Krishnan grew up in Hyderabad where he did his Engineering and MBA from INSEAD, France. He has been a devotee of Bhagawan Sri Sathya Sai Baba from childhood and considers being associated with His Service Projects his good fortune. S Thiagarajan is a senior industrial relations practitioner and has sat on the boards and committees of several social and educational organisations. He completed his BA (Hons) at Monash University, Australia and the Executive Development Program at North Western University, USA. Thiaga has been a recipient of the Colombo Plan Scholarship (1983), US International Visitor Program (1995) and the Commonwealth Foundation Fellowship (2001). Thiaga was awarded the Public Service Medal by the Singapore Government in 2015. Dr Shaun Setty is a Pediatric Cardiac Surgeon in Los Angeles, California, USA. He has been practicing for nearly a decade and has been involved with the Sri Sathya Sai Sanjeevani team and hospital since its inception. He had the privilege of performing the first pediatric congenital cardiac surgical cases at the hospital. He is active in multiple projects including both translational and clinical research as well as humanitarian projects. Mrs. Sheela Krishna is a practicing advocate at High Court of Karnataka & other Courts with an academic background of MA, MBA, LL.B, a mediator & empanelled trainer by MCPC initiated by Supreme Court of India and trains advocates as mediators. She has represented both Centre & State as a Government advocate and is an advisor to various Companies, Banks & Hospitals. Her efficiency combined with compassion, devotion & service has brought her into the fold as Trustee - spiritualising the practice of Law.